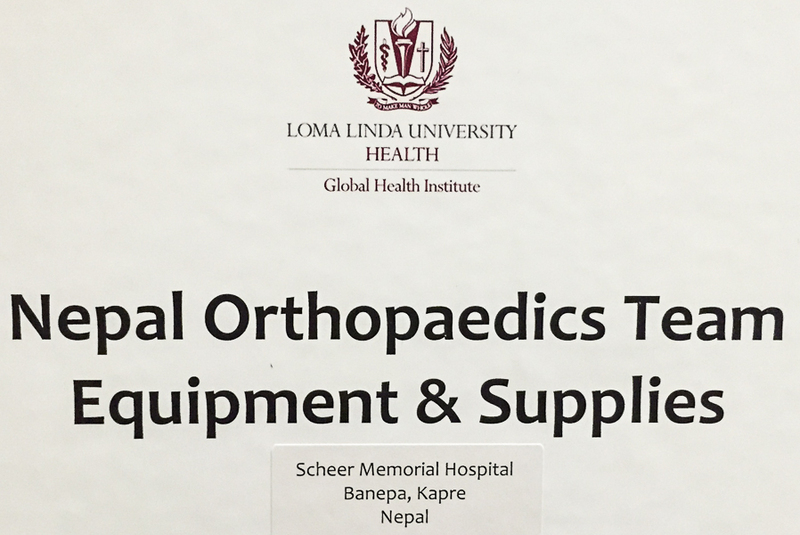 Part 2 of our May, 2015 Loma Linda University Health Orthopedic Team visit to Nepal. 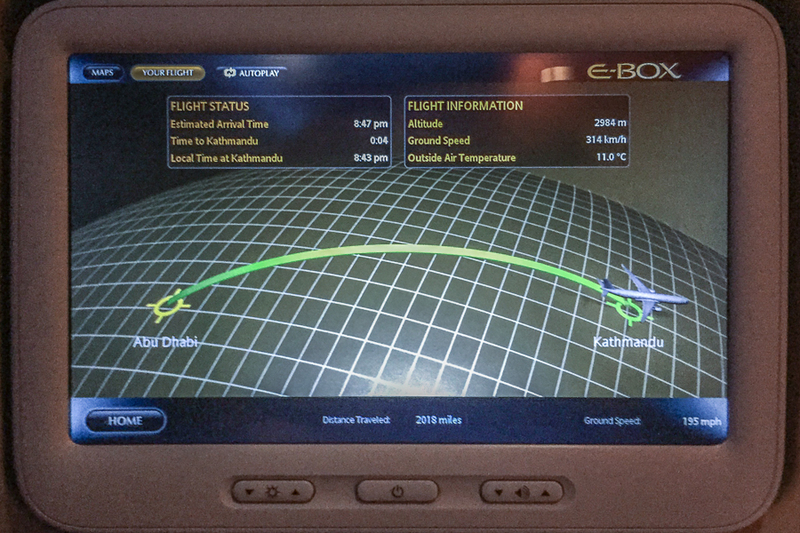 The banner image above is a shot of the tracking screen in front of each seat on Etihad Airways. We finally made it safely to our destination, Scheer Memorial Hospital in Banepa, Nepal, almost 37 hours after leaving Loma Linda, California. 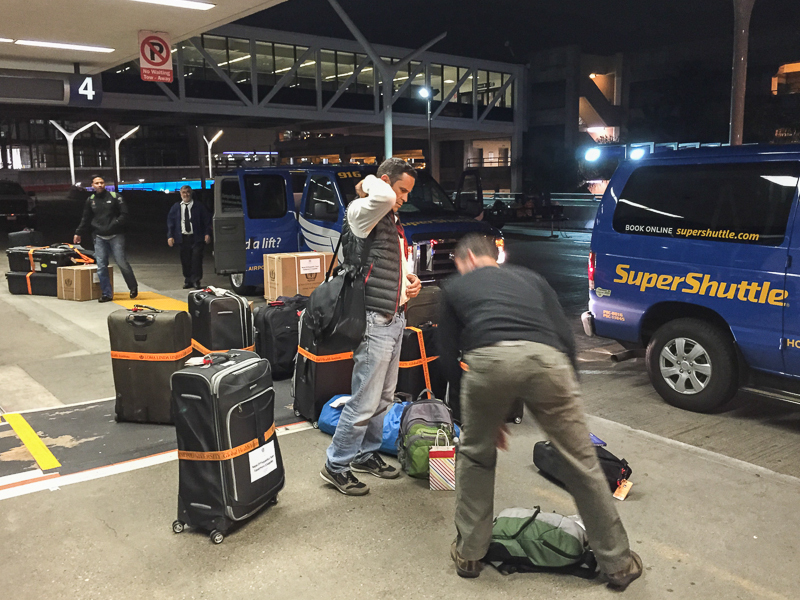 Two Super Shuttles picked us up by the Medical Center at 1 am Wednesday and we sped down a relatively vacant freeway to LAX. 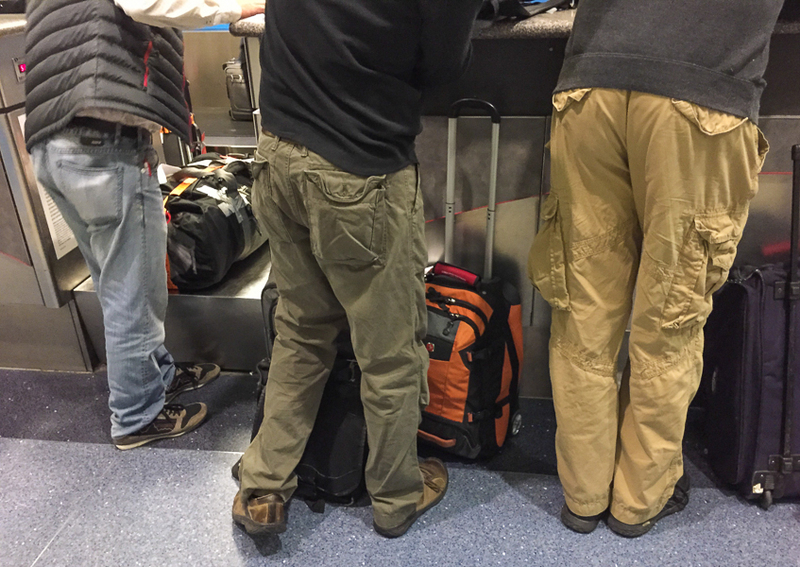 Processing 23 bags at the check-in counter was challenging but our overweight surcharge could have been much worse. Nepali Weight Loss Program…Lose pounds in seconds! 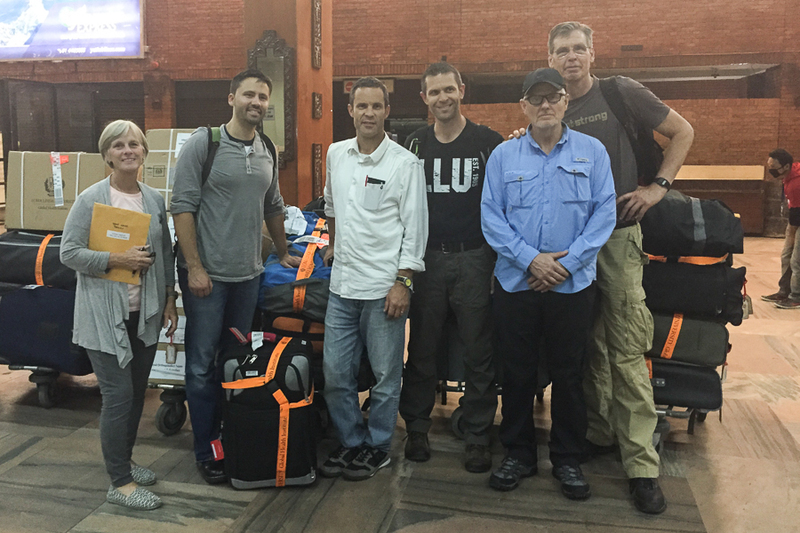 At this point we need to give Jerry Daly and his crew at Global Health Institute a shout-out for the meticulous preparation of our gear and paperwork. All of the packaging, particularly of heavy and/or delicate surgical equipment, came through unscathed and we had no problems clearing Customs and Immigration in Nepal. 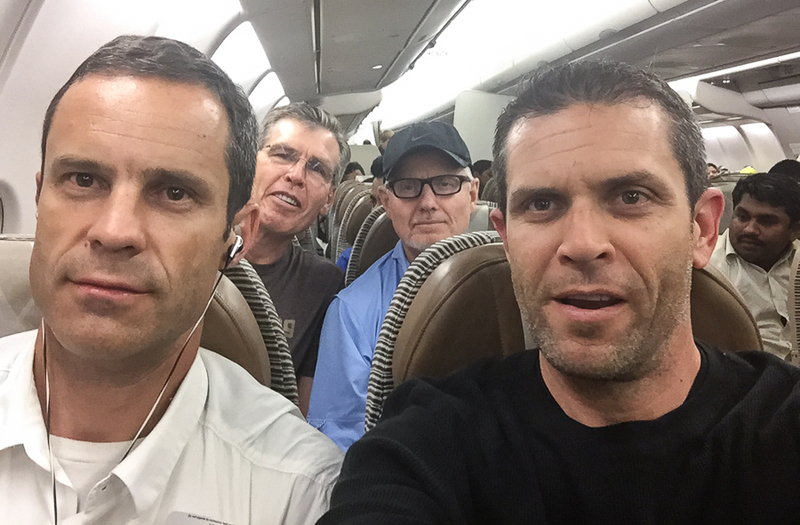 It was great to have anesthesiologist Steve Mulder join us at LAX finally making the team complete. Steve left Templeton in central California at 11:30 Tuesday evening and he had a close call on the freeway narrowly avoiding being hit by an obviously confused driver traveling the wrong way in his lane. 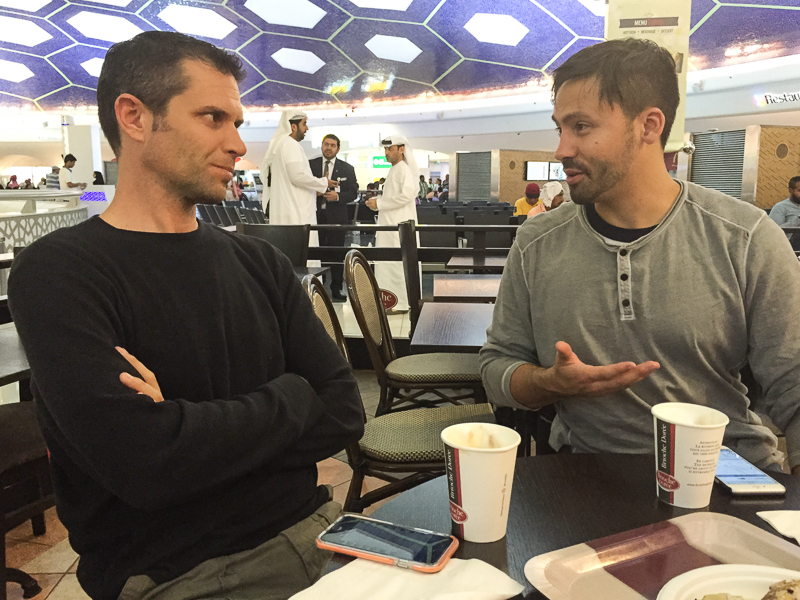 Our flight left Los Angeles at 5 am taking us 3 1/2 hours to reach Chicago where we boarded an Etihad Airways flight ultimately landing in Abu Dhabi 13 hours later. The third leg of our journey took us 4 1/2 hours to reach Kathmandu in part because of heavy traffic in an already earthquake-compromised airport delayed our clearance for landing. 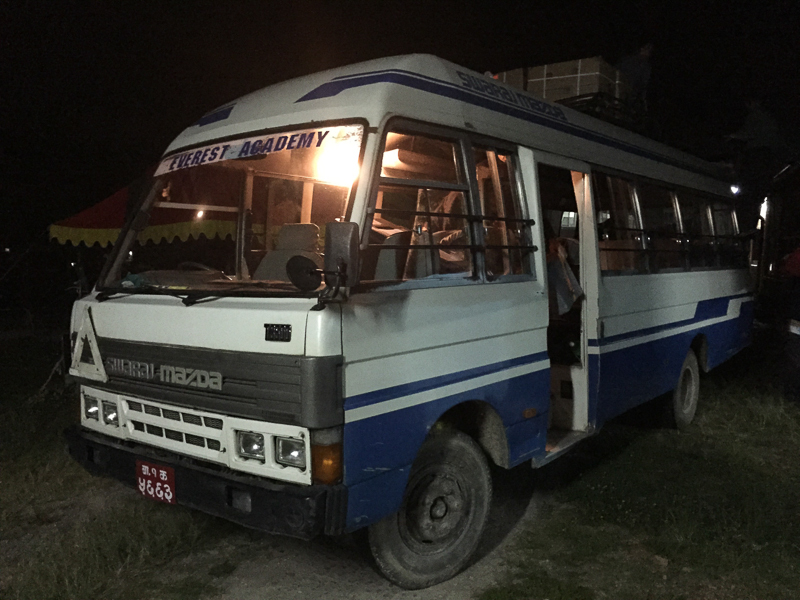 As noted previously, passing through the authorities was a breeze but it took us over 2 hours to obtain all 23 pieces of our luggage and board the bus for our new temporary home. 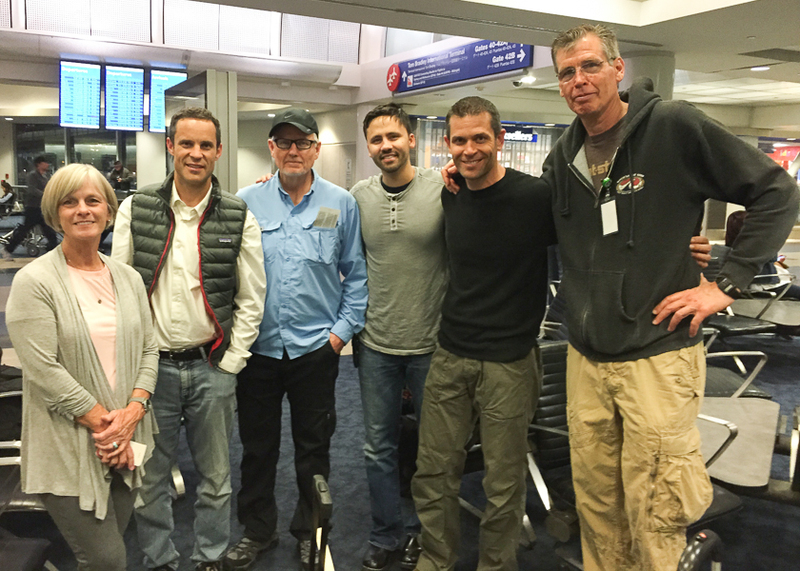 We are grateful for the safe passage to Nepal and look forward to a challenging experience here at Scheer Memorial Hospital over the days to come.